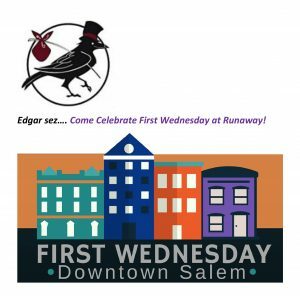 Demonstrators: Christy Wood and Robin Bielefield Runaway has decided to join many of the other downtown Salem retailers in celebrating “First Wednesday” each month, beginning with a cool demo in April. Come check it out! And the store is open until 7:30 in the evening as well! Instructor: Christy Wood Learn how to make jewelry bezels, game pieces and wonderful paper effects using Ice Resin® bezels, game pieces and open shapes. Make multiple pieces and papers over two days for just one class fee. Instructor: Yvonne Bashor Use some of the wonderful new Lawn Fawn® stamps and dies. 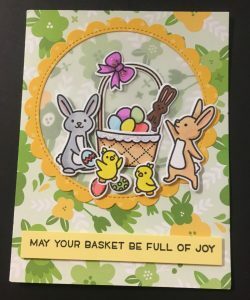 Easter bunnies and more! 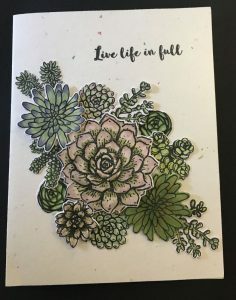 Check out these wonderful cards and more! Instructor: Christy Wood Learn how to make jewelry bezels, game pieces and wonderful paper effects using Ice Resin® bezels, game pieces and open shapes. Make multiple pieces and papers over two days for just one fee. 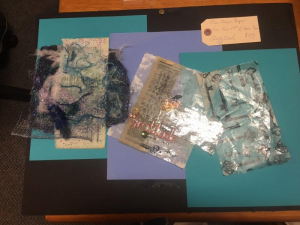 Instructor: Christy Wood Join Christy’s ongoing altered book journey! With a new class and different techniques each month, you can start anywhere along the way. 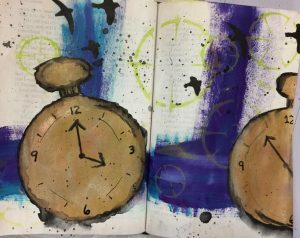 Come learn a range of mixed media and journaling techniques. 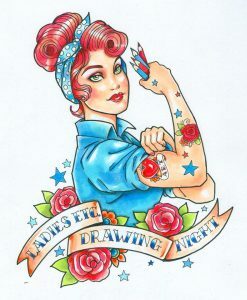 Pictures are examples from the techniques used in previous classes.